Situated in Spokane County on the banks of the Spokane River, Spokane is a major city in the state of Washington. It's located in the eastern part of the state, being right by the Rocky Mountain foothills and less than a hundred miles away from the international border separating the United States from Canada. It's also only 18 miles away from the state border with Idaho, so is considered a good transport hub for Washington State. Founded in 1873 and named after the Spokane people, this city is home to around 217,000 people and is well-known for its beauty and parks, being named 'Lilac City' due to the presence of a beautiful pink flower that is seen all around Spokane. The city is also known for being the founding location of Father's Day, as well as being home to various historic Romanesque Revival buildings, fascinating museums like the Northwest Museum of Arts and Culture, beautiful cathedrals like the Cathedral of St John the Evangelist and Cathedral of Our Lady of Lourdes, and various outdoor recreation areas like Manito Park, Riverside State Park, Riverfront Park, and Spokane Falls. In short, this Washington State city is a beautiful, vibrant location with something to offer everyone from history buffs to nature lovers, and it's a popular camping and RV spot too. Lots of great RV parks can be found in and around Spokane, offering great amenities and easy access to all of the city's main attractions and landmarks. Read on to find out more about all the best RV parks in Spokane, WA. Situated in the northern part of the city and offering a quiet, calm setting while still being just a short drive away from all the main parks, museums, restaurants, and attractions of Spokane, the North Spokane RV Campground is one of the top rated RV parks in this Washington State city. Ideally suited for both short and long term stays, the North Spokane RV Campground is a recent addition to the camping scene in this city but has already set itself apart as one of the top locations to spend some time. With affordable daily, weekly, and monthly rates, the North Spokane RV Campground is a great choice for all kinds of travelers, especially those who want to get the best value deals for their trips to Spokane. On-site amenities at this RV park include high speed Wi-Fi, cable TV for all RV guests, a dog park for your furry friends, clean bathhouses, private showers, a seasonal swimming pool, a large recreation hall, a laundry room with washers and dryers, big rig friendly sites, a play area for young children, a dump station, propane sales, and much more. Located in the eastern part of the city in the Spokane Valley, the Spokane KOA Journey is an ever-reliable option for travelers in this part of Washington State. If you're a frequent camper or RV traveler, you should be familiar with the KOA (Kampgrounds of America) name. Offering lots of locations all around the United States, KOA excels in amenities, service, and more, offering some of the finest RV parks and camping experiences you could ever hope to find. The Spokane KOA Journey location is no exception, with super service and useful amenities guaranteed at this year-round RV park, which has received an impressive 4.5 out of 5 rating from past guests. On-site amenities at this RV park include 70-foot long RV spaces, high speed internet access, cable TV at all RV sites, a dog park and other pet friendly facilities for people who want to travel with a furry member of the family, a seasonal swimming pool, bike rentals, firewood sales, sports courts, a gaming lounge, a play area for kids, and a camp store selling plenty of useful items and essential supplies for your stay. If you're in need of a highly rated, full service RV park in the Spokane area, look no further than Alderwood RV Express. Situated in the northern outskirts of the city, this RV park provides luxury facilities and tranquil surroundings, allowing every guest to enjoy a calm, peaceful stay while still being able to head into the city at a moment's notice and reach all of the major attractions and landmarks within half an hour or less. 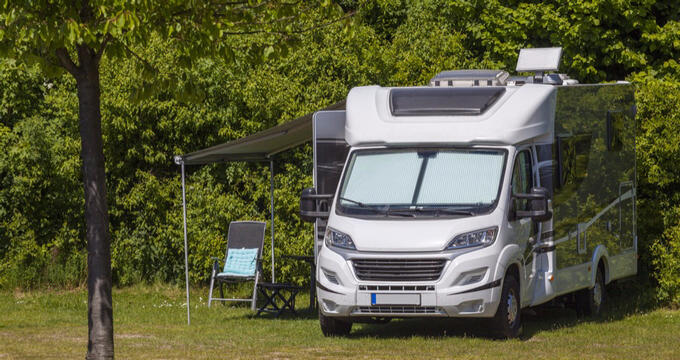 Surrounded by trees and picturesque scenery, Alderwood RV Express is part of the Highway West Vacations chain of RV parks, renowned for top tier levels of service and amenities. Offering standard, deluxe, premium, and super premium RV sites all at competitive rates, you can pick a space to suit you and your RV at this park, which also offers a general store selling gifts and camping essentials, an indoor heated pool for swimming fun, a clubhouse to meet and exchange ideas with other travelers or simply relax with your friends, a TV lounge and rec area with pool table, a dog park for your furry friends, laundry machines, Wi-Fi hotspots, a play area for children, cable TV channels, BBQ grills, and more. No matter what you need to have a great stay in Spokane, you’ll find it at Alderwood RV Express.